This course is aimed at anyone who uses abrasive wheels, or employs people who use abrasive wheels as part of their work. There are a wide range of tools and processes that use abrasive wheels and ensuring these are used correctly and safely is of paramount importance. Applications range from hand grinding to disc cutting. They can be used at all stages of a work process, for making preliminary cuts and scores in materials, or for fine polishing and finishing. The term work at height applies to a wide range of situations ranging from the obvious ones like working on platforms, ladders, scaffolds or stages to working alongside deep trenches. This is because the crucial thing to understand about work at height is that it’s not how far you climb, but how far you can fall. ‘Falls’ doesn’t just mean people falling from heights. If materials or equipment fall, that will obviously present an equally dangerous hazard to anyone below. 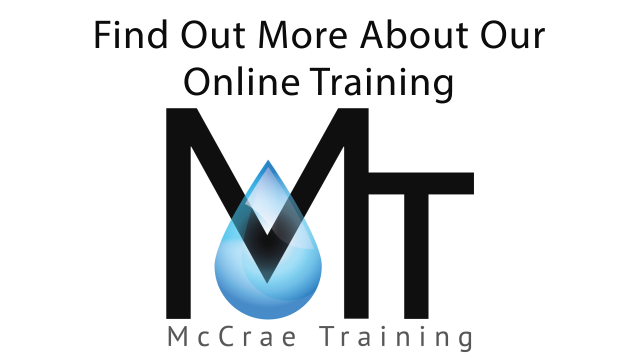 McCrae Training Ltd EK Business Centre 14 Stroud Road East Kilbride, G75 0YA.